I know plenty of you don't know or care about professional wrestling. That doesn't matter. What you need to know is that at the biggest wrestling event of the year -- Wrestlemania -- a BC guy -- Kofi Kingston -- won the WWE Championship. Pro wrestling is not a real sport, but becoming champion is about hard work, charisma, athleticism, and getting people to believe in you. Kofi put in many years and represents himself, Boston College and the WWE with passion, integrity and humor. Congrats to him on reaching his goal. Ever to excel. Instead of playing in a nearly empty Alumni, why not move it into the Field House. Fans can feel closer. Recruits will see our best facility and it will feel more intimate. Allow select fans to call plays or be in the huddle or on a head set. Create fan experiences/contests for breaks in the action (field goal attempts, races, throwing into a hole, etc). I understand this is a nice day for the fans and kids who do attend, but at what point does BC try to make it a bigger event? That's not going to happen with the current style of football or the unique game set up. It will have to be by making the game more desirable to fans and a clearly separate experience from the typical Alumni game. As for Saturday's actual game, the highlights are above. After BC's season fizzled out, some speculated that Ky Bowman might return in an effort to improve his standing among NBA scouts. Obviously he felt that leaving now made the most sense. While some disagree with me, I think Bowman's departure seals Jim Christian's fate at BC. The only good news for Christian is that BC's little depth is on the perimeter. Some combination of Tabbs and the incoming freshmen will be able to backfill Bowman's minutes and some of his productivity. What is unknown and in my opinion unlikely, is that any will command enough attention to change what the other team does. Bowman had some off nights, but every time he had the ball, he shifted what the other team would and could do defensively. That opened things up for others and when needed, Bowman could just keep the ball and get off a decent shot. And yet even with someone as skilled and respected as Bowman, Christian couldn't piece together a winning season. How will he now with less experience and arguably less talent? Maybe Pop's D improves...maybe Tabbs takes a huge leap and stays healthy...maybe one of the new guys proves to be great. But here we are again hoping that everything breaks Christian's way in order for BC to have a competitive season. Hoping is not how you build an ACC program. Ironically Bowman's saga at BC can be seen as an indictment against Jim Christian's ability to run an elite basketball program. Finding Bowman deep in the heart of ACC country is the type of skill a staff at BC needs. We need to find guys others overlook and turn them into stars. The diamonds in the rough concept was the foundation of Skinner's best days and was critical to some of BC's best teams in the '70s and early '80s. But finding those guys is only Step 1. A truly successful coach would find those types and then actual build a roster and a program around them. Christian has shown he is missing that skill. Last year when Ky Bowman entered the NBA Draft, he didn't hire an agent so that he could come back to BC for his junior year. This year, he left no wiggle room. He has an agent and will not play college basketball again. I wish Bowman nothing but the best of luck. 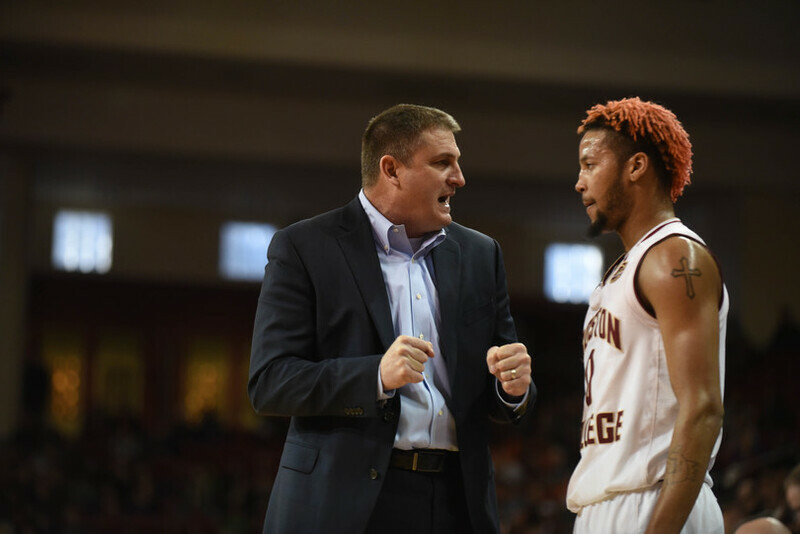 He has been one of the few bright spots in a frustrating decade of BC Basketball. It looks like the NBA remains a long shot, but maybe he will impress through his workout process. He will have professional options somewhere. 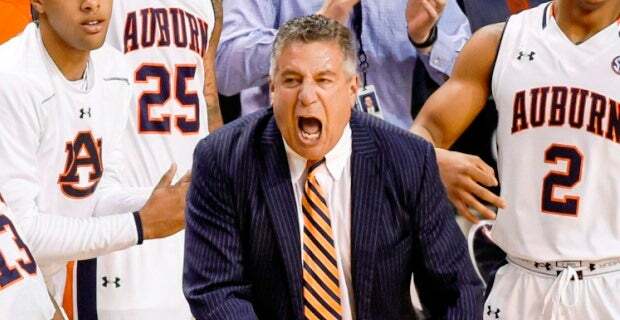 Following an SEC Championship, Bruce Pearl is now leading Auburn on a deep NCAA Tournament run. Any time Pearl has success, there are plenty of BC fans who wonder "what could have been." I was one of those fans for a long time. While I still love watching Pearl, I know that BC was right to never really pursue him as a BC coach. Regardless of what people say, the only real window to ever get Pearl was when Donahue was fired. All the other times, either BC had a successful coach in place or Pearl had a job that could pay more than BC. When Donahue's final season was falling apart a strong AD could have locked up Pearl and dealt with the internal politics of getting him hired. Clearly Brad Bates was not that AD. Maybe Gene could have pulled something like that off. Maybe Jarmond. But Bates clearly didn't have the foresight or understand the politics to get BC to sign off on Pearl. That was probably for the best. Pearl's time at Auburn has been filled with basketball success but plenty of off the court issues. Two different assistants have been arrested for illegal bribes. Pearl didn't talk to or work with former Auburn AD Chris Myers. He also hasn't been afraid of using the media to fight for a raise or get his named mentioned for other openings. I am for changing the system and suspicious of BC's purity, but had BC hired Pearl we would be dealing with a whole host of problems and embarrassments. I want change and success, but Pearl was never going to do things in an acceptable way for BC. Hockey is usually the high point of any BC sports year. However, this Men's season was one to forget. The team struggled early, had a few runs, but more than anything kept tripping over themselves and coming out flat against beatable opponents. Things finally seemed to come together in the Hockey East Tournament. BC made it to the finals and nearly stole an NCAA Tournament bid, but ultimately came up short losing 3-2 to Northeastern. This is the end of the line for this crew. There is still plenty of talent returning. Now we just have to see if this year's problems were a blip or a sign of things to come.